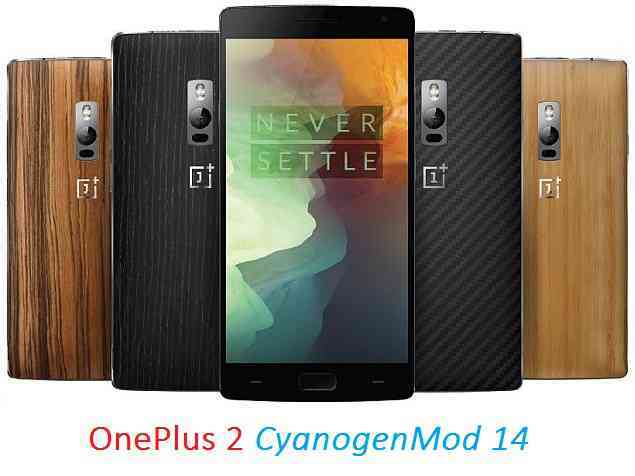 OnePlus 2 CM14 (CyanogenMod 14) Nougat 7.0 ROM is now available through UNOFFCIAL build. We also have the Lineage 14.1 for OnePlus 2. For latest updates, stay tuned to the Lineage OS device list page. Since Google released Android Nougat Source code, we have update many Android NOUGAT AOSP ROMs and also many CM14/CyanogenMod 14 ROMs updated and many are yet to come. Here we have CM14 for OnePlus 2 Nougat 7.0 ROM brought to you by developer quake73, Shreesha Murthy, benschhold, SGCMarkus, Seraph08, Grarak, LifeWalker and katelyn2914. CURRENTLY ONLY quake73’s ROM STATUS IS KNOWN AND REST OF THE ROM STATUS IS NOT KNOWN. THIS COULD BE AN INITIAL ALPHA ROM OR JUST A DEVELOPMENT ROM. IT MAY NOT BOOT AT ALL OR IF AT ALL IT BOOTS THEN IT MAY NOT BE USABLE AS A DAILY DRIVER. I JUST FOUND THE ROM AND POSTED HERE. TRY AT YOUR OWN RISK. ALSO MAKE SURE TO TAKE NANDROID BACKUP OF YOUR CURRENT ROM. Installing a custom ROM on a the OnePlus 2 may require the bootloader to be unlocked on Oneplus 2 and a Custom Recovery on OnePlus 2, which may VOID your warranty and may delete all your data. Before proceeding further you may consider backup all data on the phone. You are the only person doing changes to your phone and I cannot be held responsible for the mistakes done by you. Download and Copy the Nougat GApps and OnePlus 2 CyanogenMod 14 ROM zip to the phone memory. First flash the ROM zip of OnePlus 2 CM14 from device. Reboot and Enjoy the CyanogenMod 14 Nougat ROM on OnePlus 2. Copy the OnePlus 2 CM14 ROM ZIP file to your phone. Flash the latest ROM zip of OnePlus 2 CM14 from your phone. Stay tuned or Subscribe to the OnePlus 2 (plutonium) forum For other Android Nougat ROMs, CyanogenMod 14 ROMs, other ROMs and all other device specific topics. it boots but continously shows error com.android.phone has stopped working…. Any help…. even tried force stop and clear data…! com.android.phone stopped working… any help.? Yes it stops at boot. The CM Setup Wizard does not work in many CyanogenMod 14 ROMs including OnePlus 2. This might be a BUG from CM as CM 14 is in bringup stage. But as a workaround for now you can delete the CyanogenSetupWizard folder from /system/priv-apps to bypass the initial setup. How to delete the CyanogenSetupWizard folder??? The below must be done before booting up the ROM. – Mount the system from the TWRP recovery. Goto mount -> select the system and go back. After that select Advanced -> File Manager.